Thumpamon Vadakkumnatha Temple is an ancient temple near Pandalam in Kerala, India.This temple has two Sreekovils (sanctum sanctorum). Both Sreekovils are round (vatta). It is an age old temple whispering several fascinating legendary fables of the bygone eras. The first Sreekovil of this temple is dedicated to a deity named as Vadakkumnatha. It is believed by the worshippers that the Lord installed in this Sreekovil is a form of Lord Shiva. 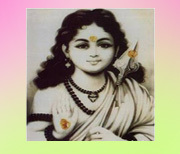 Few other devotees believe that the deity is a representation of Muruga i.e. Lord Kartikeya while others are of the opinion that it is a form of Lord Vishnu. The worshipers believe that the deity in the second Sreekovil (known as Thekkumnathan) is Balamuruga. It is believed that this deity was worshiped by SakthiBhadra the author of AscharyaChudamani (a drama for Koodiyatta).SakthiBhadra was a contemporary to Sree Shankaracharya, the author of Adwaitha Philosophy. This Sreekovil has been adorned with magnificent mural paintings that augment its beauty. It is 6 kms away from the holly town Pandalam, the Birth Place of Lord Ayyappa and 9 Kms away from the district capital Pathanamthitta. How you can get prasadam by post. Contact thumpamon SreeVadakumnathan Devaswam. Or Send us a mail now.